HALLIE EPHRON: It’s HALLOWEEN! I feel as if this is my holiday since once upon a time my husband made me a cartoon Halloween card that wished me a HALLIE HAPPOWEEN. 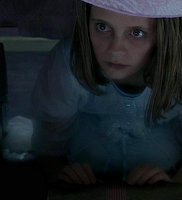 Instead of taking the fattening route and discussing our favorite candies (Swedish Fish, if you’re taking notes), I’m going to take a detour into scary movies. 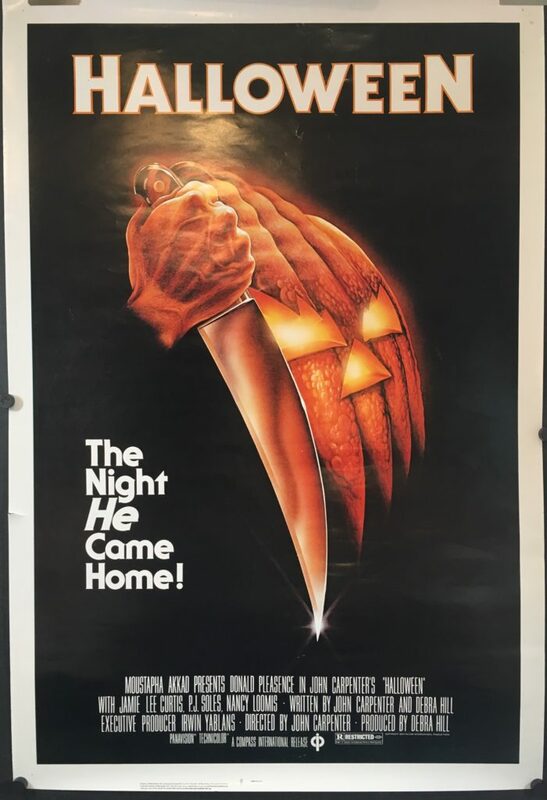 I haven’t see any of the HALLOWEEN movies, though #11 is just out starring Jamie Lee Curtis who starred in #1. I’m a huge fan of Jamie Lee Curtis. I will see A FISH CALLED WANDA any time I find it. But I’m done with movies that kill girls. 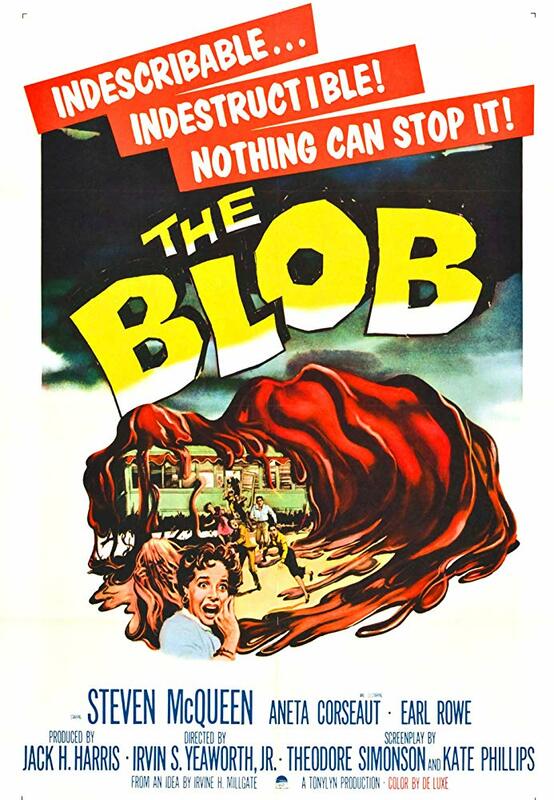 I’m much more a fan of THE BLOB. 1958. You remember: ambulatory alien blob of protoplasm that devoured everything in its path. Did you know it starred Steve McQueen? 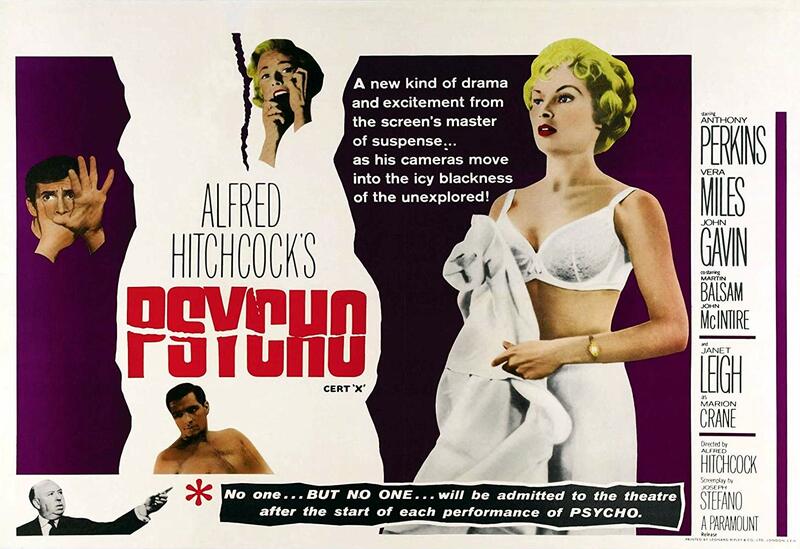 And PSYCHO. The poster looks like an ad for Maidenform. That movie scared the bejesus out of me. Wide open eye resting on the tile floor, cue scary music. The dessicated mother sitting ‘looking’ out the window. SO terrifying even when you know it’s coming. I was a lot less enthusiastic about FRENZY, another Hitchcock movie about a serial killer who rapes and then strangles women with a necktie. MUCH too creepy and explicit for my taste. Wish I could erase my memories of that one. It's that line I try to walk between CREEPY and ICKY. Around now we should be asking ourselves: why are the victims always women and the truly scary creatures OLD women or Jell-O? Can I count THE SIXTH SENSE? Loved it loved it. Ditto SILENCE OF THE LAMBS. And Catherine Deneuve feeling her way down the claustrophobic hallway with hands reaching out for her in REPULSION, which I must have seen when I was in high school, is seared into my brain. THE FLY (with Jeff Goldlblum looking fly-like even before the transformation; Geena Davis plays his girlfriend.) ROSEMARY’S BABY (Mia Farrow faces off against Ruth Gordon). THE STEPFORD WIVES (with Katharine Ross and Paula Prentiss and Tina Louise). 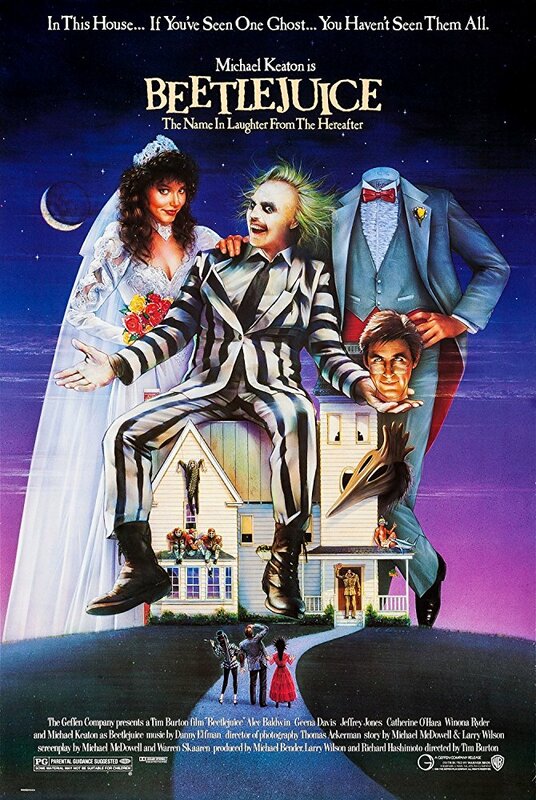 And the divine BEETLEJUICE (Alec Baldwin, Geena Davis, Michael Keaton, Winona Ryder) which I gather is now being made into a Broadway play! Sign me up! On this Halloween night, what scary movies would you be up for watching again? Oh, and what candies do you hope you’ll have left over after the trick or treaters have swarmed through? Sadly they were out of Sour Patch Kids when I got to the supermarket to buy candy. HALLIE EPHRON: I first encountered Catriona McPherson as the author of a book entitled Dandy Gilver and the Proper Treatment of Bloodstains. LOVED her writing (tart, taut, funny), and I knew I'd follow her anywhere. She writes standalones and traditional mysteries, is a MULTI-award winner, and a generous soul who's served as president of Sisters in Crime. 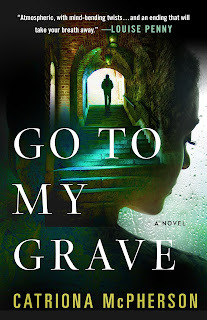 Her new book, just out, Go to My Grave, is a Gothic thriller, set in a B&B in a rambling old house (be still my beating heart!) Estranged cousins reunite a decade after a 16th birthday party that started with peach schnapps and ended with a girl walking into the sea. Kirkus gave it a starred review and called it "a virtuoso explosion of guilt, remorse, and revenge." 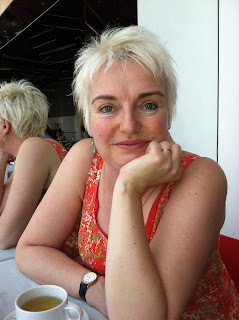 So who better than Catriona, on Halloween eve, to share her memories of Halloween in Scotland? CATRIONA MCPHERSON: How I love Halloween. I always did, from when I was a child. Scottish Halloween has elements clearly related to American Halloween. Where you go trick-or-treating, we went “guising”. Literally “in disguise”, we traipsed around the neighbours’ houses asking for sweeties, but we had to earn them by performing a song or dance or reciting a poem. Some people let the kids off with telling a joke. Not the hard-liners. The whole point of the performance – well, a useful by-product of the performance anyway – is that two hundred pounders home from college are too embarrassed to join in, which keeps the sweetie costs down marvelously. Mind you, if the adults don’t feel like taking part they don’t have to. We don’t have the toilet-paper revenge option if anyone’s too stingy to fork over a mini Mars Bar. There are two things to note about making jack-o-lanterns out of rutebagas. One, it’s a miracle any Scottish child gets to its teenage years with all ten fingers intact. 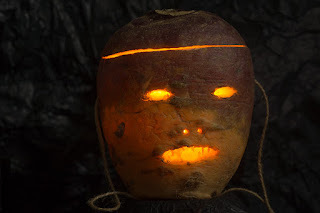 (Have you ever tried to carve a rutabaga?) And two, the smell of a candle in a turnip is indescribable. The folk who moan about a whiff of pumpkin spice in Starbucks for a week or two (okay, a choking pall of pumpkin spice in every centre of commerce from Labor Day to Black Friday, but let’s not quibble) should count themselves lucky. Where I used to live in Galloway, the farmers grew stubble turnips to feed the sheep in winter. The flock ate them right out there in the fields. Or rather they half-ate them and moved on. The smell of half a turnip in a muddy field, liberally wee-ed and pooped on by sheep, frozen and defrosted and refrozen again in the changeable weather . . . still smells better than a warm turnip lantern. The other entertainments of a Scottish Halloween seem very low-key and wholesome compared with the Bacchanalia of an American one. (Full disclosure – I know them mostly from soaps and sitcoms. Maybe there’s less bloodshed and adultery in real life.) We dooked for apples. That is, we filled a baby bath with water, floated apples in it, kneeled down and tried to bite the apples out of the bath without drowning. Posh chidlren (or so I’ve heard) used to lean over the back of a chair and drop a fork into the bath to spear their apples. Less saliva but also less fun. There are other traditional Halloween games. Scones coated all over in treacle could be hung from a string across the room for kids to try to eat without using their hands. We never did this in our house. I’m glad. I was the wee-est one and I know my sisters would have loved swinging the string to belt me in the face with a treacly bun and then complain to our mum that I was making everything sticky. We did do the spell of peeling a tangerine in one long strip and throwing it over our shoulder to see the initial of the man we would marry. It was usually an S, tangerine skins being what they are and we would have good giggle about the Stephens and Scotts in our class at school (and Starsky (unfortunately not the cute one), Scott Baio (changed days, eh?) and did Woody from the Bay City Rollers count, since his real name was Stuart Wood?) The uselessness of this method was proved in later years by our husbands’ names: John, Greig, Tom and Neil. I think those happy days of low-key bickering probably gave me some of the material for my new book, GO TO MY GRAVE. Eight kids – siblings and cousins – have spent twenty years trying to forget the aftermath of a birthday party that went seriously, disastrously wrong. When they find themselves back together again, the decades fall away along with all the tricks they’ve tried to keep the secrets of that night from ever surfacing. 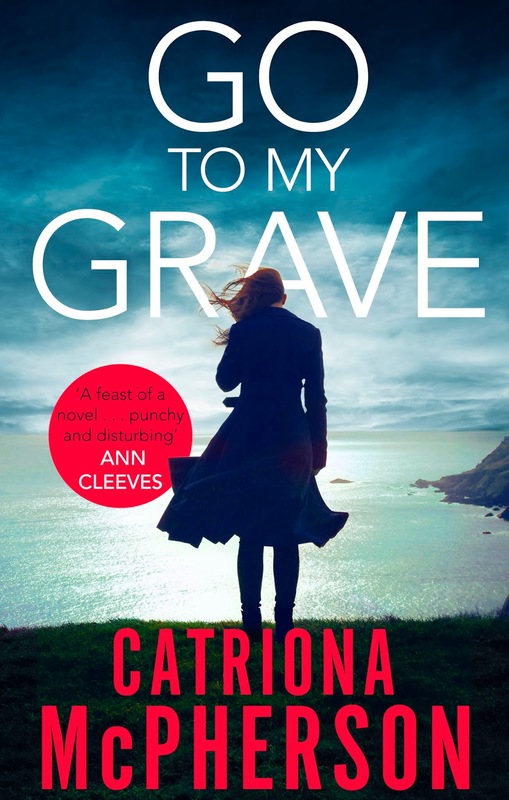 Also, while I didn’t plan it like this – publishing is as mysterious to me as it ever was, twenty-odd books in – October is the perfect month to send GO TO MY GRAVE out into the world. It’s got a big old creepy house with far too many dark corners as well as all those secrets and all those lost children, grown-up now but not nearly over the past that ties them together. BOO! HALLIE: Honoring Halloween, what are you cherished memories of Halloweens past? Pumpkin carving? Setting out a scarecrow? Dunking (dooking!) for apples? Putting together a 'haunted house' with bowls of Jell-o and cold spaghetti and peeled grapes to feel blindfolded? TRICK OR TREAT!